If you have a criminal history of any sort, it can affect you for years. Any time a person applies for a job, the background check is going to show the black marks they’ve left behind them. Any time someone applies to rent an office building or an apartment, the same thing will happen. Even dating isn’t safe, because someone might decide to run a background check on someone to see just what they’re getting into. Additionally, once people know about someone’s criminal history they will treat that person differently. The individual might find him or herself socially ostracized, it might be harder to find employment, to earn people’s trust, etc. However, if someone has convictions from the state of Texas, there is something that person can do about it. The Texas expungement process allows someone to completely wipe something off of his or her criminal history. If a black mark is expunged then it’s gone; not even law enforcement agencies will be able to see it once it’s been wiped away. Another option, however, is to have records sealed. A wider variety of offenses can be sealed, and the requirements for getting that done are less. The trade off, though, is that the government and law enforcement officers can still see the records in question; they’re off limits to normal civilians, but not to the police. Not all mistakes can be erased in the Texas criminal justice system. Someone has to have a qualifying arrest, charge or conviction, and a certain amount of time must pass after a person has been released before they can ask to have the history cleaned off. Generally speaking arrests, charges and acquittals qualify for being completely expunged, right alongside people who were pardoned by reason of innocence after they were convicted. The same is true for people who complete a probation plan where it expressly states that the conviction in question will not be made a part of their history. Felony and misdemeanor convictions, by and large, won’t be wiped completely clean though. On the other hand, nearly any crime can be sealed if someone follows through with the appropriate forms, requests and legal proceedings. The same standards of a first time offense, as well as keeping out of the criminal justice system after the term has been served, apply to having someone’s history sealed as they do to having it eliminated entirely. Time periods can vary based on the offense, but ten years for felony convictions and five years for misdemeanors are not uncommon amounts of time to wait. After the proper amount of time has gone by, the individual needs to go to the court house where he or she was originally tried and sentenced. 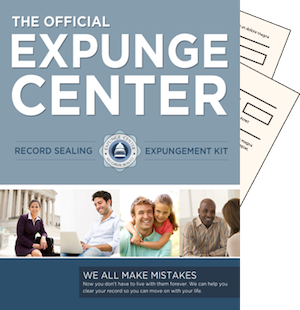 Once there, individuals need to fill out the necessary forms to request the sealing or expungement process begin. All legal fees must be paid, and if a court date is set then the person will have to show up to that as well. Once that’s all been followed, the court will either choose to grant the request or deny it.